Poll numbers released last week shed an interesting light on Idaho’s two congressional races, suggesting one may be much closer than the other. Dan Jones & Associates conducted the poll from June 22 to July 9 for Idaho Politics Weekly, which published the results Sept. 3. In the 1st Congressional District, the sample was 315 adults, for a margin of error of plus or minus 5.5 percent; in the 2nd Congressional District, it was 285 adults, with a margin or error of plus or minus 5.8 percent. That’s 600 respondents statewide. 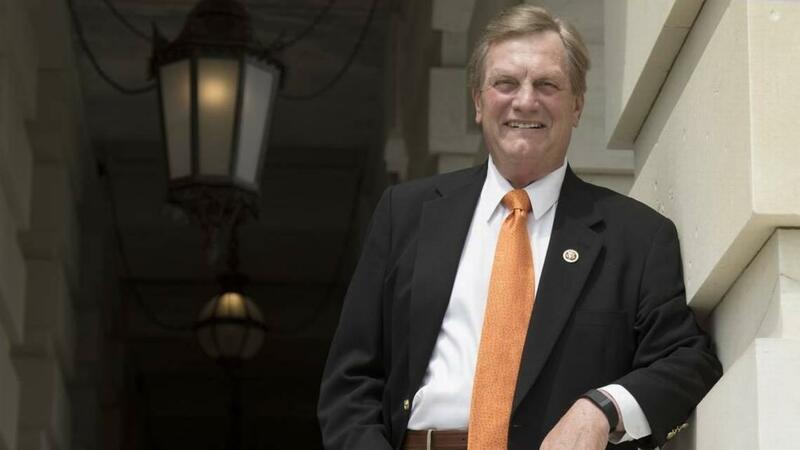 The poll found GOP incumbent Rep. Mike Simpson leading his Democratic challenger, Aaron Swisher, by 59 percent to 23 percent. But the Republican candidate for the 1st District seat, former state Sen. Russ Fulcher of Meridian, led his Democratic opponent, Cristina McNeil, by a much smaller margin, 35 percent to 27 percent. A full 20 percent of respondents in the 1st District said they were undecided, compared to 9 percent in the 2nd District. McNeil is a real estate agent and chair of the Idaho Democratic Latino Caucus, and though she raised less than $5,000 in the primary, she defeated Democratic primary rivals James Vandermaas and Michael Smith with a whopping 69.7 percent of the vote. Fulcher won a seven-way Republican primary with 43.1 percent of the vote. In addition to McNeil and Fulcher, the 1st District race has five other candidates on the ballot: Independents Gordon Counsil of Caldwell, Paul Farmer of Meridian, and Natalie Fleming of Fruitland; Libertarian W. Scott Howard of Post Falls; and Constitution Party candidate Pro-Life, who was known as Marvin Richardson before the Letha organic strawberry farmer legally changed his name. In the poll, 10 percent of 1st District respondents favored Howard, the Libertarian; Pro-Life got 6 percent; and the rest split the remaining 2 percent. The 1st District seat is open because current GOP Rep. Raul Labrador opted to run unsuccessfully for governor in the primary rather than seek re-election. In the 2nd District, Simpson is a 10-term incumbent who serves on the powerful Appropriations Committee. The joint legislative committee that’s been working for three years on a revamp of Idaho’s complex public school funding formula got a working model last week, and is gearing up for decisions on just what it wants to recommend to the full Legislature in January. He said, “Our old system was a lot more clunky than this new system,” which uses a system of weights to take into account students of different ages and other funding issues. Bedke noted that when the formula for dividing up nearly $2 billion among Idaho schools and districts is revamped, there will inevitably be some that gain and some that lose; that’s why the process also includes looking at the cost to “hold harmless” all districts when the changes are made, by keeping them at least at their current funding level. “The hold-harmless number was less than I thought it would be,” he said, saying in one scenario it was $22 million, in another, $31 million. The committee meets again Sept. 24. Idaho Sen. Mike Crapo serves on the Senate Judiciary Committee, so he was participating in the stormy confirmation hearings last week for Judge Brett Kavanaugh, whom President Trump has nominated for the U.S Supreme Court. Amid protests and vociferous objections from Democrats to the nominee and the procedures of the hearing, including whether sufficient documentation about the nominee had been released, Crapo was strongly supportive of the nomination. On Wednesday, when it was Crapo’s turn to question Kavanaugh, he focused his questions on the proper role of a judge and Kavanaugh’s judicial record. “The most important issue to me in considering your nomination is whether you will be an activist judge, or will you follow the law as it is written?” Idaho’s senior senator asked the nominee. Crapo also asked Kavanaugh about executive agency rulemaking; and highlighted western land ownership issues, including federal government ownership of large amounts of land.